I have a pile of things I need to read and I have a pile of things I want to read. And there’s Red Notice by Bill Browder which was on neither pile. I picked up for $20 at the book store just because it looked good. I actually heard about Bill Browder a couple years ago from his frequent TV appearances. He also had a documentary on Netflix. Here’s a little known fact: Bill Browder is the grandson of the head of the American Communist Party who ran for President a couple times. Bill Browder has a story and it’s one hell of a story. This book has two parts. The first part, my favorite, is about his early day investments after the breakup of the Soviet-Union. Browder was where nobody else wanted to invest. This mean he bought stuff for ultra-cheap. He would invest in companies at 0.5x P/E and such. Assets where absolutely mispriced. The gap between price and value was extremely large. Capitalism wasn’t a well understood concept and they were basically just giving stuff away for free. Nobody knew how to value anything except for vodka and cigarettes. You could buy companies at a tiny fraction of its oil reserve. The book a couple examples of his investments and it’s fascinating. I kind of wish he made another book only about his investment in Eastern Europe/Russia after assets where privatized. The second part of the book is the main reason why it was written. It’s the part where Browder goes to war against Putin. Browder was deported from Russia after trying to expose corruption in the country. He hired a lawyer named Sergei Magnitsky to be part of the team to help him out. Then in 2008 Sergei Magnitsky uncovered a massive tax fraud. He found evidence that a group of well-connected Russian officials had stolen a whopping $230m. He was arrested and tortured to make him withdraw his testimony. He didn’t. His conditions grew critical and he died. Then Browder went on a crusade to seek justice. It looked impossible and it wasn’t easy. The Russian says that Browder is the real criminal and has commited fraud. Russian issued a “Red Notice”, like the title, which refers to the extradition request served by Russia on Interpol, demanding Browder’s arrest. It was denied. Browder is behind the The Magnitsky Act, a law named after Sergei Magnitsky, which was signed into law in 2012 by President Barack Obama. The law is intended to punish Russian officials responsible for the death of Russian lawyer Sergei Magnitsky in a Moscow prison in 2009. The bill received bipartisan support. At the moment, I believe the law has been expanded to cover the globe, not just human right abuse in Russia. In the book, Browder has an interesting theory about Putin. At first Browder was a Putin supporter. Browder was an activist investor. He would go after corruption and exposed crook at companies and it worked…for a while until it didn’t it. Doing what he was doing as a foreigner it was surprising that nobody killed him. People die in Russia for much less. Browder believed he was protected by Putin at first. When Putin was first elected, he wasn’t the Putin of today. Putin didn’t have all the power. The Russian oligarch did. And Browder was going after the oligarch. Putin and Browder’s interest were aligned. Then the oligarch folded to Putin because he started jailing them and Putin gain the power. That’s when Putin and Browder weren’t working together anymore but it conflicted. So Putin tried to get rid of Browder and it got messy. Li Lu is the only guy that manages Charlie Munger’s money. And he has an incredible story about his up bringing. Twenty-one years ago, Li Lu was a student leader of the Tiananmen Square protests. Now a hedge-fund manager possibly one of the successor to he is in line to become a successor to Warren Buffett at Berkshire Hathaway. His book seems rare and hard to find. There’s a copy on Amazon: Moving the Mountain. He’s expensive so it’s probably one of these rare books that you might find by accident somewhere. Li Lu also wrote the foreword to the Chinese version of Poor Charlie’s Almanack. I finished Berkshire Beyond Buffett by Lawrence Cunningham (@CunninghamProf). Prof Cunningham is well known for his work on Berkshire Hathaway (BRK) and Warren Buffett. Prof Cunningham’s books on BRK and Buffett are among the best. He’s been a follower for decades and has direct access to Buffett and its managers. If you want to read this book, I would assume it’s not your first book about Buffett and BRK. There’s ton of material you can read before this one. If you don’t know where to start, here’s a good start: The Essays of Warren Buffett: Lessons for Corporate America. This book on Buffett/BRK book is different. This is not a Warren Buffett centric book. It’s more like the bio of BRK. And not just a book full of happy stories about BRK. BRK is structually complex and highly decentralized. Lawrence had access to many people in BRK organization to realized this book with Buffett’s blessing. Despite its popularity, few people understand Berkshire and many assume it cannot survive without Buffett. They are wrong and this book proves them wrong. This is a comprehensive portrait of the corporate culture that unites BRK’s subsidiaries and the traits that ensure the conglomerate’s continued prosperity. The book also goes on to explain why many companies picked BRK as their home, even when a more lucrative offer was on the table. It goes beyond the dollar amount. For many entrepreneurs, their business is their baby. It’s their life’s work. And it’s very important for them to preserve it. I’m glad I read this book. I was looking forward for a book like that for a while. One that goes inside and throughout the subsidiaries. Even the smallest ones. Cunningham talked to many family businesses belonging to the Blumkins, Bridges, and Child and several entrepreneurs like at FlightSafety and Justin Boots. An interesting question why aren’t there many more companies like BRK? Markel is the closest clone that I can think off. BRK has been cloned before, but you don’t seem to hear about their success. The reason is because it goes beyond the corporate structure. It’s about the attitude. Berkshire takes a partnership attitude toward its shareholders whereas most corporations are hierarchies, with shareholders seen to own a residual claim on firm assets, an equity stake after liabilities are covered by assets. BRK is simple, but hard to replicate. Decentralized. The managers of the subsidiaries have massive power. It rarely uses intermediaries — brokers, lenders, advisers, consultants and other staples of today’s corporate bureaucracies. No strategic plans administrated by an acquisitions department. While American companies borrow heavily, Berkshire shuns debt as costly and constraining, preferring to rely on itself and to use its own money. BRK generates abundant earnings and retains 100 percent, having not paid a dividend in more than 50 years. Berkshire earns some $30 billion annually — all available for reinvestment. In addition, thanks to its longtime horizon, Berkshire holds many assets acquired decades ago, resulting in deferred taxes now nearing $100 billion. The principal leverage at Berkshire is insurance float. This refers to funds that arise because Berkshire receives premiums up front but need not pay claims until later, if it all. Elon Musk is a very interesting character. We know that. But after just finishing his biography it really fresh. He is, quite arguably, the most successful and important entrepreneur in the world. There was a time when electric cars and private space flights seemed silly. Now they are becoming normal. 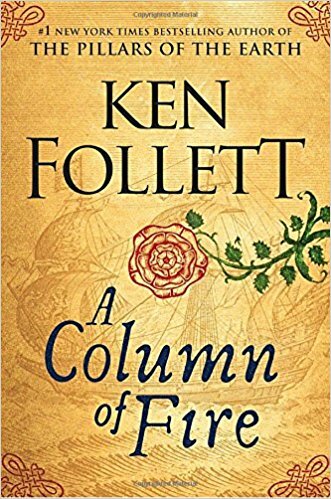 I got around Ken Follett’s latest 1,000 page brick: A Column of Fire. If you are looking for a good for book for the Holidays or a gift, this book will fit the bill. Like any of Ken Follett’s work, this book historically well researched. The story starts in the late 1550s with Europe torn apart by religious conflict. This was a time when the Catholics burnt the Protestants and then the Protestants burnt the Catholics on the stake. The real enemies, then as now, are not the rival religions. The true battle pitches those who believe in tolerance and compromise against the tyrants who would impose their ideas on everyone else—no matter what the cost. Capital allocation is a CEO’s most important job. What counts in the long run is the increase in per share value, not overall growth or size. Cash flow, not reported earnings, is what determines longterm value. Decentralized organizations release entrepreneurial energy and keep both costs and “rancor” down. Independent thinking is essential to long-term success, and interactions with outside advisers (Wall Street, the press, etc.) can be distracting and time-consuming. Sometimes the best investment opportunity is your own stock. With acquisitions, patience is a virtue . . . as is occasional boldness. 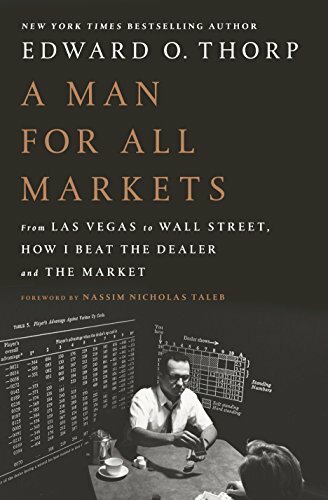 A Man For All Markets is Edward O. Thorp’s autobiography. I was looking forward to reading that book I wasn’t disappointed. Even though he is an icon, Edward O. Thorp might not be familiar name, so who is he? Thorp was an absolute intellect that despite his success he managed to stay under the radar. He didn’t subscribed to widely accepted views such as you can’t beat casinos or Wall-Street and he did. The first half of the book is his story. The 2nd half is filled with advice and insights. Plus Nassim Taleb wrote the foreword. So what are some of Thorp’s accomplishments? Thorp figured out how to win at blackjack using card counting. Check. Thorp published the classic book Beat the Dealer. That book launched a revolutions in Vegas. If you like this kind of stuff you will love Bringing Down the House: The Inside Story of Six M.I.T. Students Who Took Vegas for Millions. These MIT guys took Thorp’s strategies and feed it roids. Thorp then built the world’s first wearable computer and used it again to beat the house at roulette. Check. The computer used physics to calculate the momentum of a roulette wheel. Play bridge with Warren Buffett. Check. Thorp discovered what is known today as the Black-Scholes option formula, before Black and Scholes. Check. Discovered that Bernard Madoff was a cheat in 1991. Check. Madoff got busted in 2008. Beat Wall-Street. Check. Then wrote Beat the Market (Out of print, copies are going for $700+). He was the first modern mathematician who successfully used quantitative methods for risk taking. This is a story of Thorp’s odyssey in science, mathematics, hedge funds, finance and investing. Thorp is not a guy that’s after money or fame. He is a very wealthy man but if he wanted to he could have been extravagantly more wealthy. To preserve his quality of life and to spend more time with his family, he decided not to pursue a number of very profitable business ventures. He like the exploration of ideas. He likes to solve problems. He like mental challenges. That’s what fuels him to beat the dealer and Wall-Street. Thorp is 85 years and still very sharp. You can listen to him on Masters in Business podcast: Ed Thorp, the Man Who Beat the Dealer and the Market. He reminds me a lot of Buffett and Munger. They might be in their 80s and 90s, but their brain haven’t display any sign of aging. This is a great book. Read it. Give it. Share it. Enjoy it. I’m reading this random book, The Story of French by Jean-Benoit Nadeau and Julie Barlow. First, I should mention that you don’t need to have an interest in the French language to enjoy the book. It’s a book that somebody gave me to give somebody else and I started to flip through it – And none of them are French. It’s actually very interesting and very well researched. It’s more of a history book and the role of French in shaping it. It’s really by accident that I started reading it. Sometimes randomness brings you the best moment. Here are some screen shots on the Quebec chapter. 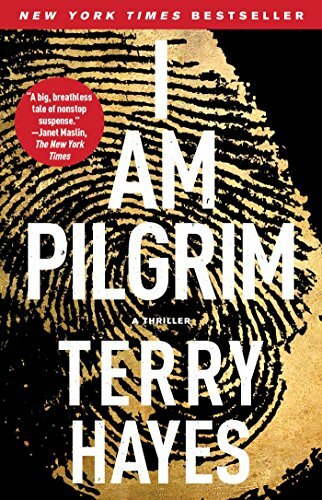 This is my review of I am Pilgrim by Terry Hayes. This is an excellent book and I highly recommended it. My wife also thinks it’s excellent and she’s the one who recommended it to me. We don’t have the same taste of books, so it’s a surprise, or a rare event I would say, that we both appreciate the same book. If you are looking for some summer reading, you won’t be disappointed with this book. If you read the back of the dust jacket, you might think that the book is all over the place and it’s not for you. And in a sense, it is all over the place. But it was done on purpose. Usually that’s a recipe for disaster, except in this case. All the crazy events eventually ties up. The story takes you a on a wild ride. There’s two part to the story, which is the reason behind why this is a big book. The book combines both a murder mystery and a terrorist plot to unleash a cataclysm on America. The book takes into a series of strange events. The main character, “Pilgrim”, is a great character. He’s smart and insightful. There’s a sequel to the book coming out next year, The Year of the Locust, which is coming out sometime next year. I also read some stuff about a movie studio picking the rights to the book/character. So this should be interesting but I don’t know how this story will hold up on the big screen. However Hollywood did make an excellent movie about a baseball stat book, Michael Lewis’ Moneyball. So I’m sure they can figure out something. Terry Hayes is a Hollywood guy and his background is in movie scripts, so maybe he can work his magic. And congrats to Mr. Hayes on his first novel. It must be very different from going to movie scripts to a very long novel. Zell knew that by making other side happy early on he could get more deals in the future. Everybody stays in the game and everybody keeps playing. Great mottos for anyone in business or investing.